Home » Injury Rehab » Hand Sanitizer Dispensers-Good or Bad? Hand Sanitizer Dispensers-Good or Bad? 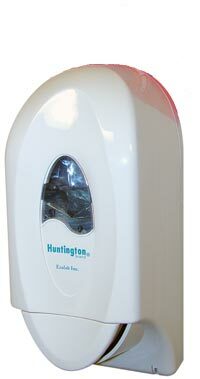 Instant hand sanitizers come in many different forms of dispensers, whether in a squeeze bottle, pump, commercial dispenser, or in a spray bottle. The different dispensers depend on the type of hand sanitizer, as they comes in three different forms; foam hand sanitizer, hand sanitizer spray, and the most popular, hand sanitizer gel. Since its introduction to the masses in 1988 by “Gojo” the makers of PURELL® (the #1 selling instant hand sanitizer), it has come to be part of our common culture; whether in your cubical, office, school, purse, or household, there is a hand sanitizer dispenser in the form of either a squeeze bottle, pump, spray, or commercial dispenser. The Hand Sanitizer phenomena is based around the notion that instant hand sanitizer is an alternative for washing your hands when water and soap is readily not available. It is now well known that in order for hand sanitizer to effectively work, it must contain over 60% of alcohol according to the CDC (Center of Disease Control). The two major hand sanitizer manufacturer’s; Purell and Germ-X, both contain 66.2% of ethyl alcohol, surpassing the level of alcohol needed in order to be effective against bacteria that could harm you. Instant hand sanitizer has done great deal of good for our society by reducing the absentee rates in elementary schools, and reducing the spread of sicknesses in university dorms; as reported by the CDC in their study of the effectiveness of instant hand sanitizers that can be found on their website. Hand Sanitizer reduces the risk of bacteria and disease from being spread in public places, thus giving way to the reason why it has become the obsessive culture it now is; as most Americans spend most of their time in public places (i.e. work, school, stores, restaurants). Whatever the case may be, if you are an employer, event planner, school teacher, or office manager, it is better to have hand sanitizer available to reduce the risk of sickness. Hand sanitizer commercial dispensers have made it so instant hand sanitizer can be available to all in within a public location, in case you for forgot to bring it in your purse, or you don’t have a handy dandy hand sanitizer spray key chain. The commercial dispenser makes it readily available, just as we have become accustomed to having hand washing soap in dispensers. Even though hand sanitizers are effective when containing over 60% of alcohol, it is still highly encouraged to regularly wash your hands with soap and water as instant hand sanitizers cannot wash away dirt or filth; it only kills bacteria on the surface of your hand. So, to answer the question, despite the slight shortcomings, hand sanitizers are GOOD!